CUREN® bristles have a clear advantage over conventional nylon bristles: they absorb almost no water, so they provide consistent performance. 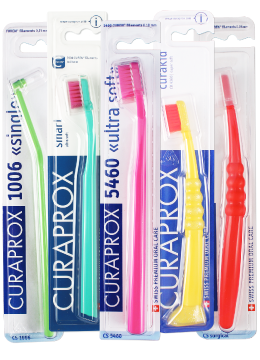 CUREN® is also unbelievably soft, making brushing your teeth an incredibly pleasant experience – even with 42,000 brush strokes per minute. 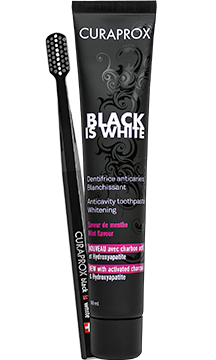 Clean your teeth hygienically, efficiently and carefully thanks to sonic technology. With over 30,000 brush strokes per minute, biofilm is removed gently and efficiently. The Hydrosonic Easy even offers up to 42,00 strokes per minute – while still staying gentle. 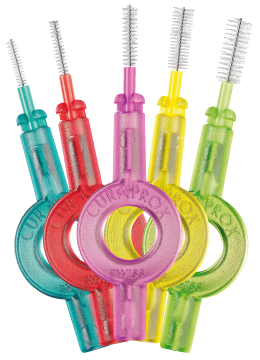 Thanks to sonic technology, the CURAPROX Easy produces an additional effect, known as hydrodynamics: the high number of brush strokes creates turbulence in the mix of saliva, water and toothpaste in your mouth. This turbulence removes biofilm bacteria in places where bristles do not reach; for example, in the spaces between your teeth. The Hydrosonic Easy lets you improve your oral hygiene in an easy, uncomplicated and thorough way, with sophisticated technology – simply, effectively and reliably.